These sleek and modern peppercorn grinders offer an easy way to use our flavourful spice on your food everyday. 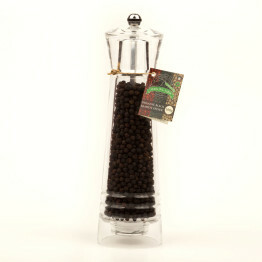 The variety and depth of flavour of our mixed pepper is displayed beautifully in these sleek and modern pepper grinders. 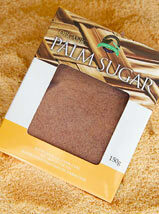 The different colours and textures look and taste delicious. 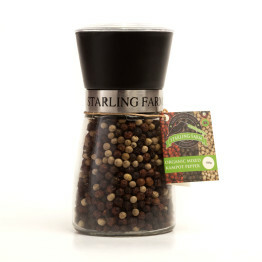 Our rich and spicy red peppercorns come in these beautiful, sleek and modern grinders. 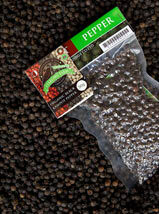 Use for fresh seasoning, the flavour of our intense red pepper tastes delicious with very dish. 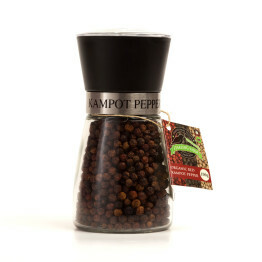 Seeing the vibrant red of the peppercorns is a gorgeous addition to any kitchen. 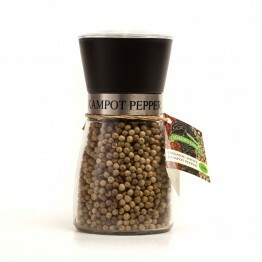 The sleek and modern design of these pepper grinders is a great way to show off our bespoke products. 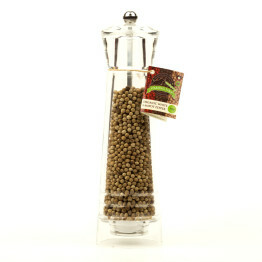 Our light and subtle white peppercorns look and taste gorgeous when freshly ground onto your food. 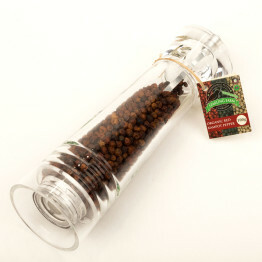 These ultra sleek and modern pepper grinders are perfect for home and restaurant use. 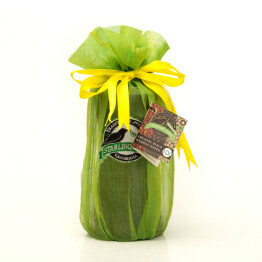 A beautiful way to display our delicious pepper. 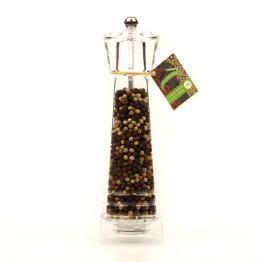 An easy way to grind fresh seasoning onto your dishes to make your food taste even better. 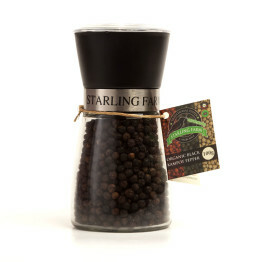 The layers of flavours in our mixed Kampot peppercorns are beautifully displayed in these Starling farm pepper grinder. This is a easy way to use an exciting spice to season your food. 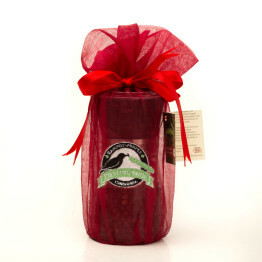 These modern pepper grinders come with our rare and rich red pepper. These offer an easy way to season your dishes with the rare and intense red pepper. 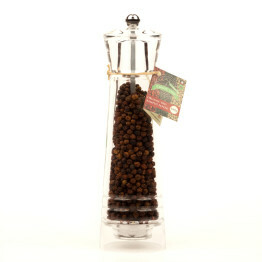 Great with beige and natural interiors, these pepper grinders offer a sleek and stylish way to season your dishes. Freshly grind flavour onto your dishes.